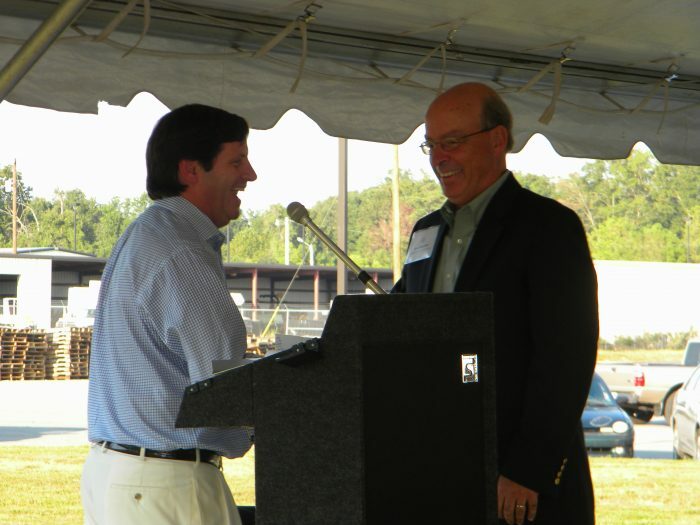 Custom Polymers PET, LLC and Custom Polymers, Inc. welcomed guests to an open house Monday September 12, 2011 to celebrate the expansion of their new washline. The guest list included local dignitaries as well as State and Federal Representatives, partners involved in the project, and local neighbors. Guest speakers included John N. Calhoun, Partner, and Steve Alexander, Director of the Association of Postconsumer Plastic Recyclers.